Seeing these massive mechanisms being tossed into the ocean like a toy in the bathtub is a ping in my heart. I have always been attached to these machines, their surreal beauty integrated into their functional engineering. At first I was stunned, the moments of violent recycling, watching the water quickly adapt to its new underwater houses. After being pushed and stacked like a sardine in these subways cars over the past decade, it is nice to see the sardine actually getting one of these as its new steel condo. These unbelievable photographs were captured over the past three years from Delaware to South Carolina. Since the 1600's man has artificially created reefs. The Metropolitan Transit Authority's recycling program has been involved for the past decade, retiring over 2500 subways cars to the ocean to help rebuild underwater reefs along the eastern seabed. 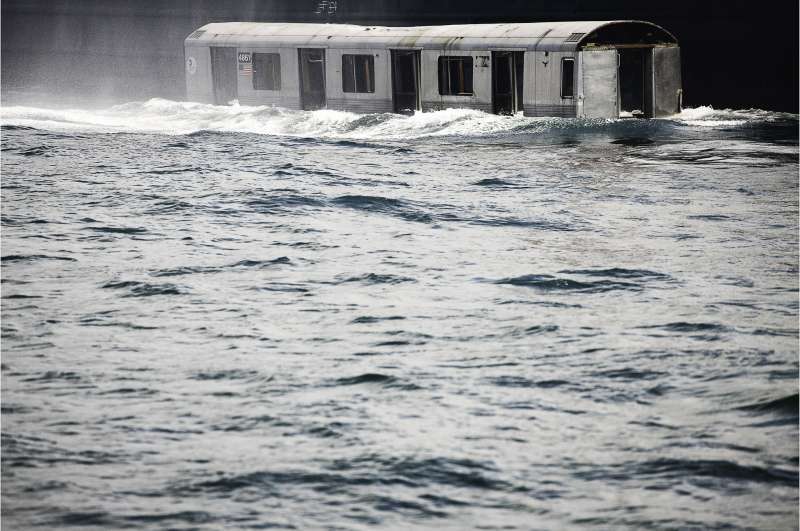 These are my images, seconds before these mass transit vessels join history in building homes for life under the sea.